What is an Intergenerational Playgroup? Playgroups are a fun, safe and educational way for children, parents and carers to come together on a weekly basis to engage in play-based learning. This play-based learning provides a solid foundation for all children to facilitate their wellbeing and holistic development. However, Intergenerational Playgroup is a unique Playgroup model where the young and young at heart, join together for a Playgroup session for important social interaction. The Intergenerational Playgroups are a vital opportunity for parents, children and residents to engage in childhood activities together. These Playgroups create opportunities for children to further develop their skills, parents to create a local peer support network and provide isolated residents with vital community interaction. There are a number of studies that have been conducted on Intergenerational Playgroups and the benefits for aged care residents and attending families. The need and benefits extend beyond those of the older person to the parents/caregivers and children within the playgroup. Where parents, grandparents and great-grandparents of attending families may have passed or who do not live locally, the playgroup provides them with the opportunity to engage and interact with older people and provides a safe and fun environment for positive shared experiences. 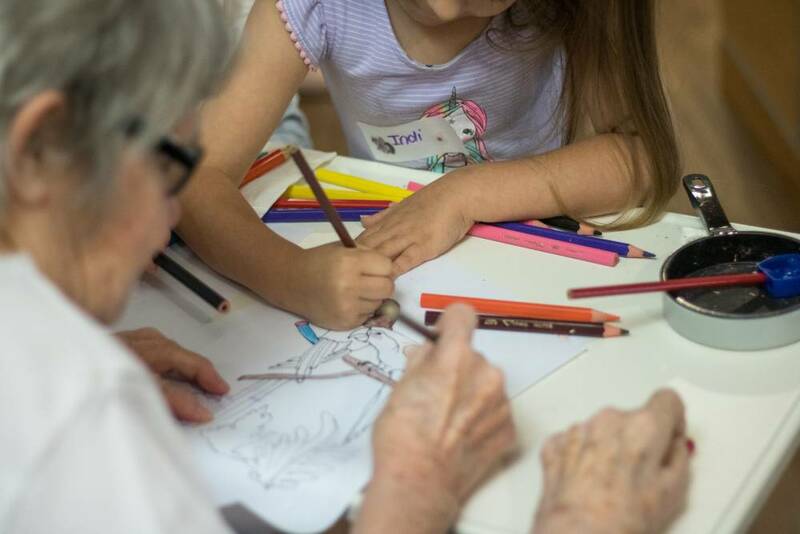 If you would like more information on Intergenerational Playgroups or would like to start your own, contact Playgroup SA on free call 1800 171 882 for more information. Ageless play program lifting spirits among aged care residents and children alike, ABC News, 2019. 'Best day of the week': The playgroup bringing children and elderly together, The Canberra Times, 2019.